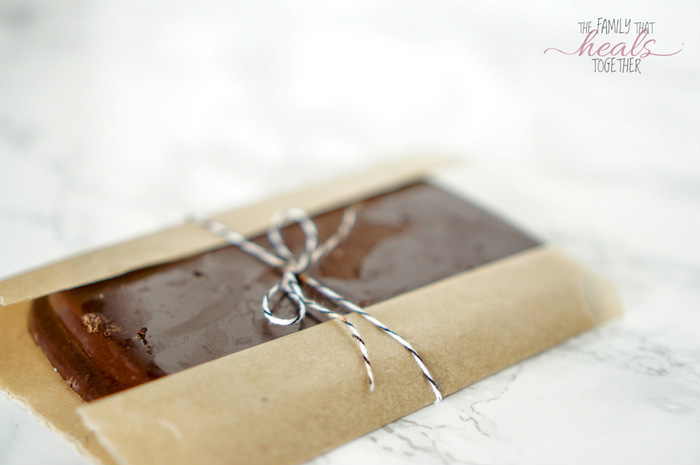 I recently discovered how easy it is to make your own chocolate, so now I’ve been experimenting with everything from chocolate chips to these homemade chocolate bars. I hope you have as much fun with them as I do! Funny story, as a child I didn’t like chocolate. I never wanted a Hershey’s bar or Kisses. I preferred brightly colored, sticky candies. Oh how times have changed. After I had children and started learning about the dangers of ingredients like food dyes and high fructose corn syrup, I realized chocolate was really the lesser of the two evils. But I still wasn’t a huge fan. It was only after I started trying to pinpoint the cause of my migraines that I developed a real appreciation for chocolate. That’s because at one point, I had made paleo chocolate chip cookies and soon after got a migraine. A friend shared that chocolate could be a migraine trigger, so I deduced this must be the cause, and lamented the loss of everyone’s favorite food group (but mine). I soon discovered, however, that I had developed an intolerance to almonds and other nuts and would get almost an immediate migraine after eating them (especially almond flour. Here’s why eating a ton of almond flour is a bad idea). Which was quite the disappointment when you’ve just cut all grains from your diet and replaced them with nuts (see: things not to do on a paleo diet). I can now eat almond flour without any problems (thank goodness, because otherwise these fabulous GAPS-friendly chocolate chip cookies wouldn’t have happened! ), but I only use it in moderation, not as a replacement for every grain-based goodie like I did in the beginning. Which brings me back to me point: after discovering that chocolate was not a migraine trigger for me, I developed a whole new appreciation for it. I could eat chocolate again! And now I wanted all the chocolate. Today, most conventional chocolate still contains ingredients like CAFO milk and soy as an emulsifier. Of course, loads of sugar is also involved, but most organic chocolate bars include sugar too, which is why I decided to make homemade chocolate bars, but I’ll get to that in a minute. There are tons of organic chocolate bars on the market today, the quality of which widely varies. You can find what is basically just an organic version of a conventional chocolate bar, which is still chock full of sugar and contains soy, but uses organic ingredients (which says very little about the quality of milk used in the milk chocolate or the labor practices by which the chocolate was derived). There are higher-quality bars that use less sugar and more quality ingredients, as well as fair-trade labor. I like many of these, and though I don’t tolerate the sugar well, have indulged from time to time. You can even buy paleo-friendly chocolate that uses coconut sugar or honey as a sweetener, and some of these are delightful! I especially like Hu Kitchen Cashew Butter chocolate bars (get those here or here), Pure 7 (I buy them here), and Honey Mamas, which I buy in the refrigerated section of my local health food store. You will notice that most quality, organic chocolate bars these days have a small logo that says “fair trade certified.” This means that the people who harvested your chocolate did so on their free will and were paid appropriately for their time. 2.3 million children work in the cocoa fields of Ghana and Côte d’Ivoire. These children are vulnerable to brutal labor practices, including trafficking and slavery. Candy companies–including but not limited to Nestlé, Hershey, Cargill, ADM, and Barry Callebout–have admitted accountability and promised to remedy this situation. Sadly, 14 years has passed since this agreement and little has changed. This is reason enough to never buy conventional chocolate again, to only purchase fair trade chocolate, or to make your own chocolate with fair trade ingredients. 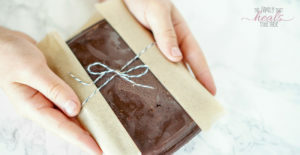 Are homemade chocolate bars good? Yes! In fact, my kids and I prefer them over store bought chocolate! I find my homemade chocolate tastes less bitter than store bought dark chocolate, but you can easily adjust the sweetener if you prefer a more dark chocolate. 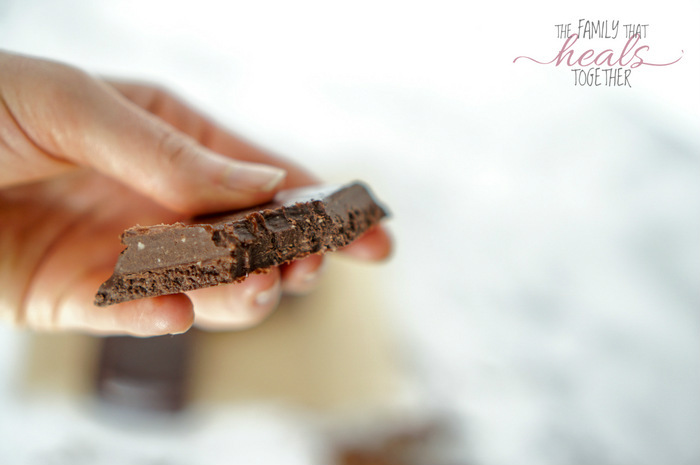 It really is a quick and easy task to make your own chocolate at home. Now that I’ve learned how, I can’t stop making homemade chocolate bars and chocolate chips! Next up, I want to experiment with using a homemade chocolate recipe for s’mores, chocolate syrups, and whatever else I can dream up! First, it’s pretty easy to find fair-trade ingredients for homemade chocolate. Navitas cacao butter is fair trade certified. I’ve found it at my local health food store in the refrigerator section, or you can buy it on Amazon here and have it in two days. I also like Terrasoul Superfoods, which is super affordable, and though it doesn’t contain the “fair trade” label, you can read about their labor practices here, which explains the fair trade model they adhere to. I buy Terrasoul Superfoods cacao butter here. You’ll also need cacao or cocoa powder, which you can also find fair trade. I like Now Foods brand cocoa powder for its affordability, and although it’s not fair trade certified, Now Foods states they “source our cocoa powder from several of the world’s largest and finest cocoa processors. All of our suppliers have shown their dedication to eliminating the use of forced child labor…” You can buy it here. I also like Equal Exchange baking cocoa, which you can find here. You’ll also need a sweetener. In my experience, you cannot use a granulated sweetener without an emulsifier, and since I was determined to make a GAPS-friendly chocolate, I wanted to use honey anyway. 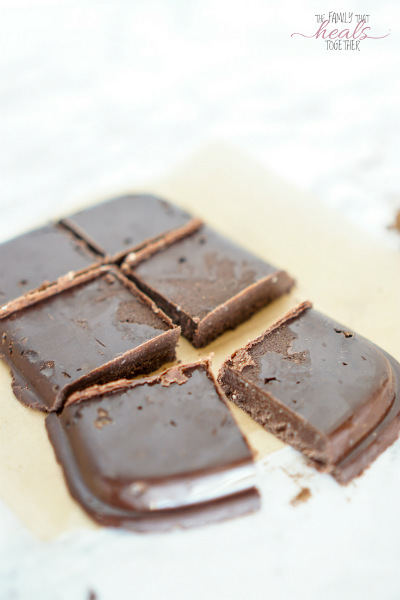 Raw honey is my sweetener of choice for these homemade chocolate bars. This one is my favorite. For this particular chocolate bar, I have added a little nut butter for texture and flavor. I like this one or this one for quality and texture, as they’re a bit gritty but still smooth. We’ll also add a splash of vanilla. That’s it. By the way, the first time I made these homemade chocolate bars, I used a random rectangular object in my kitchen to make it into a nicely-shaped bar. It worked fine. I’ve since purchased chocolate molds into order to get nice, uniform bars that have pre-sectioned squares so it’s easy to break off a piece. Get those here. In a small saucepan, gently heat cacao butter over low heat. Remove when there are just a few chunks left melting and whisk until they're gone. Use a stick blender like this to finish blending the ingredients and ensure they become emulsified. Pour into chocolate molds like this, then place in freezer for about half an hour to firm up. Store in the refrigerator to protect texture and freshness. Are you convinced to make your own chocolate yet? 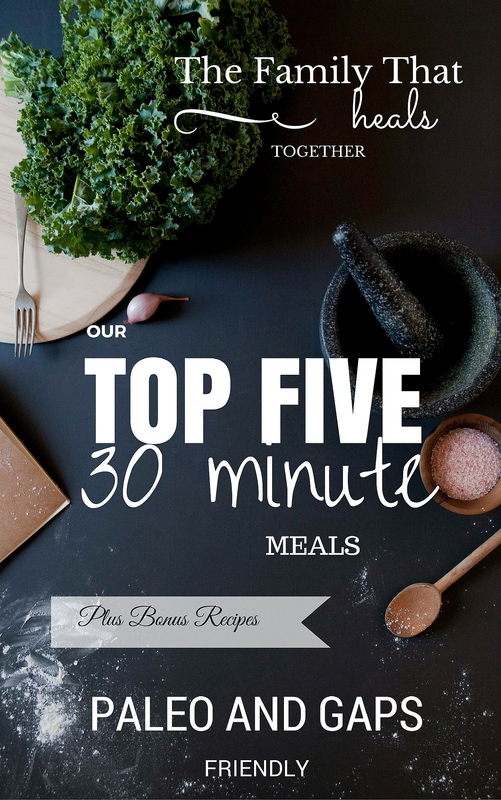 It’s so easy, so much healthier, and more affordable than buying chocolate from the store! Do these melt at room temperature? I am trying to find a recipe that makes chocolate that can be brought to room temperature without losing its shape. Thanks! They hold up at room temp!